Are Bea Alonzo and Zanjoe Marudo back on good terms? Bea Alonzo, Zanjoe Marudo back on good terms after breakup? 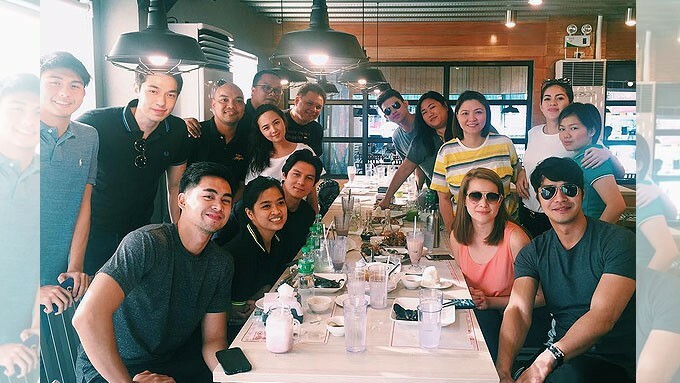 Ex-couple Bea Alonzo and Zanjoe Marudo spotted with fellow Star Magic stars in a restaurant in Quezon City yesterday, March 6. Ex-couple Bea Alonzo, 28, and Zanjoe Marudo, 33, were spotted catching up with some fellow Kapamilya stars in a restaurant in Quezon City. In an Instagram post yesterday, March 6, Star Magic manager Monch Novales shared a group photo of her wards under ABS-CBN’s talent arm, including Bea and Zanjoe. It was obviously a reunion of sorts for their group which they fondly tagged as "monchsters." The group also consists of Shaina Magdayao, Joseph Marco, Inah Estrada, David Chua, among others. Bea and Zanjoe started hanging out because of their common set of friends, back in 2010. THE BREAKUP. Last January 20, Zanjoe confirmed that he and Bea have broken up after being in a relationship for almost five years. Since then, Bea has yet to speak up about calling it quits with Zanjoe. The Kapamilya actress also kept mum about controversies linking her to A Second Chance leading man John Lloyd Cruz. John Lloyd, however, previously denied rumors that he and Bea are in a relationship. Last February 18, John Lloyd was also reportedly seen exchanging messages with ex-girlfriend Angelica Panganiban.